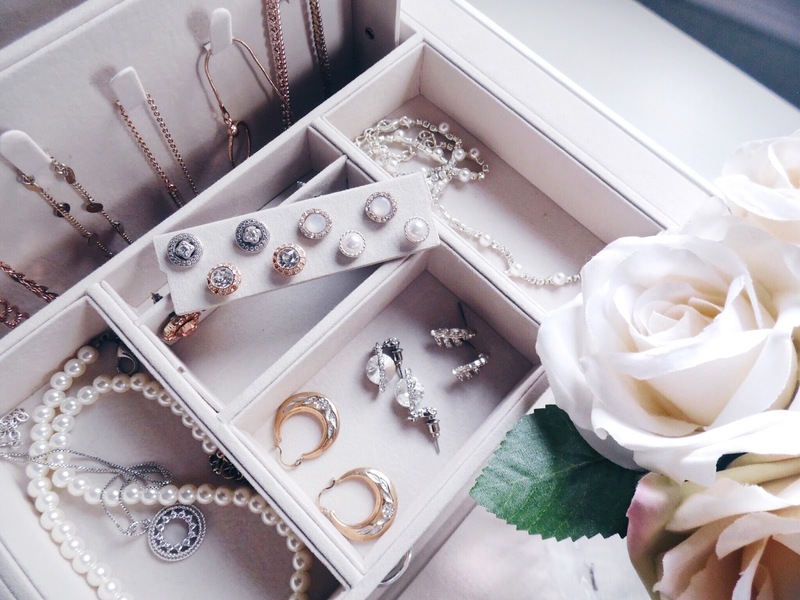 For far too long now my jewellery has been all over the place, in small jewellery boxes, stands and even random boxes with no compartments inside. I'm finally storing my favourite pieces of jewellery together. This jewellery box from Vlando is the perfect size and has so many compartments for different styles. 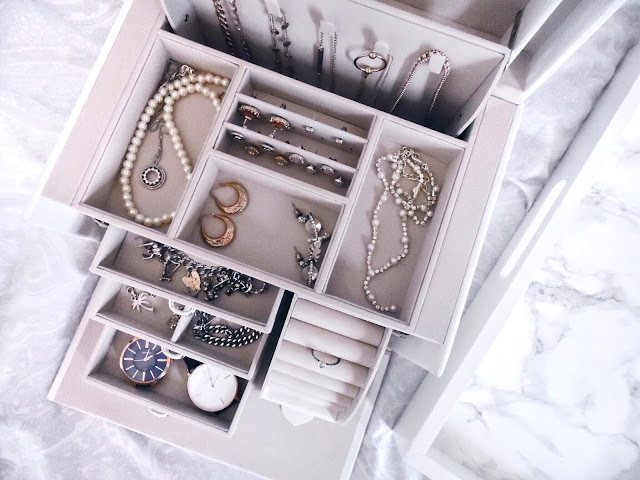 It's so much easier now having different pieces stored in the same place as I would often have to go from different boxes or stands to find earrings and necklaces. I have the white-cross pattern version which has a sort of pearlescent finish with a soft, high quality velvet interior. It's such a beautiful and chic jewellery box! It's priced at £33.99 (currently on sale). Going on to compartments, it has a velvet cushioned ring holder that pulls out and folds away so easily! Unboxing this was so fun, there was a nice surprise at every discovery. After a big jewellery clear out, I need more rings! 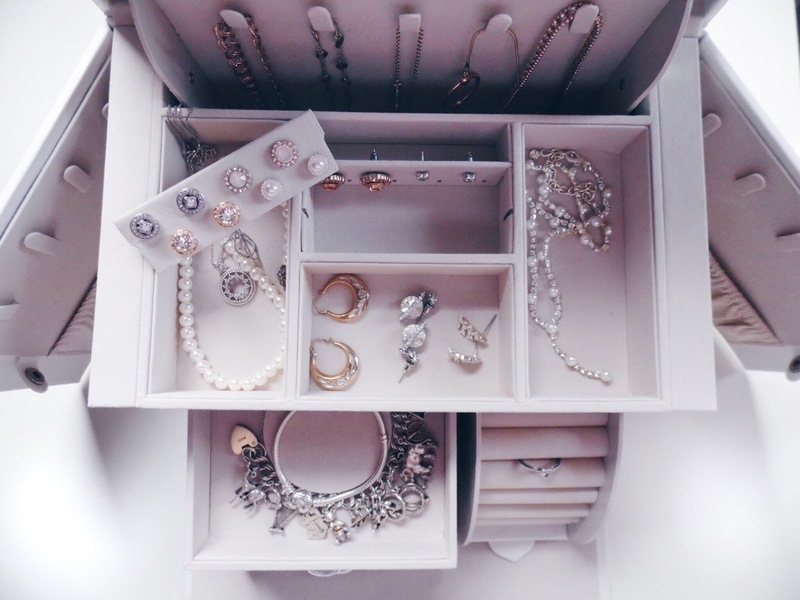 This has just made me want to buy expensive jewellery as this box is too nice for half of mine. 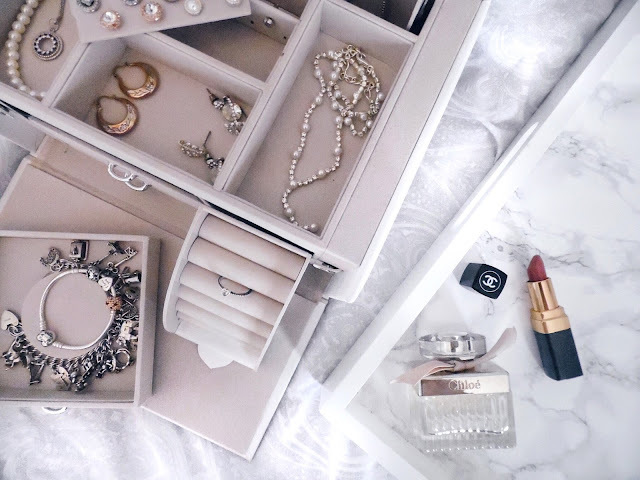 One of my favourites parts is the necklace hooks at the back, it goes all the way down so you can store long necklaces and it rises as you open the top, the mechanisms of this jewellery box is insane. The mirror is also huge so what's not to love?! Yet another amazing surprise, the sides of the box unclip to reveal more hooks and a pouch which I've been using to store small chain chokers. 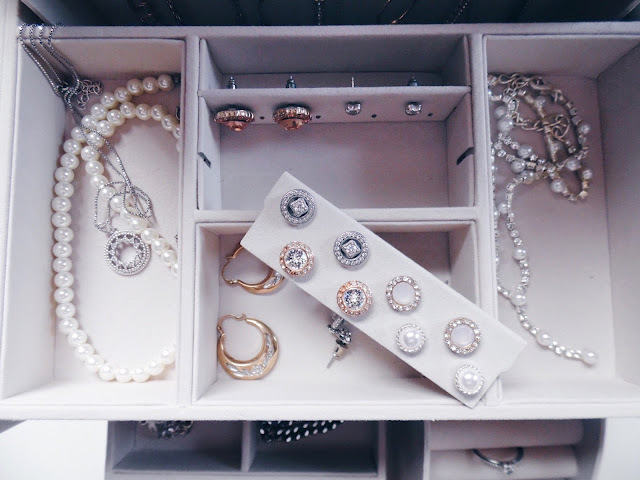 I also love the earring holders in the middle, they slide out so you can see your selection easily. The three drawers on the left all have different layouts. The first has a circle which I've used to place my silver charm bracelet and pandora bracelet around. 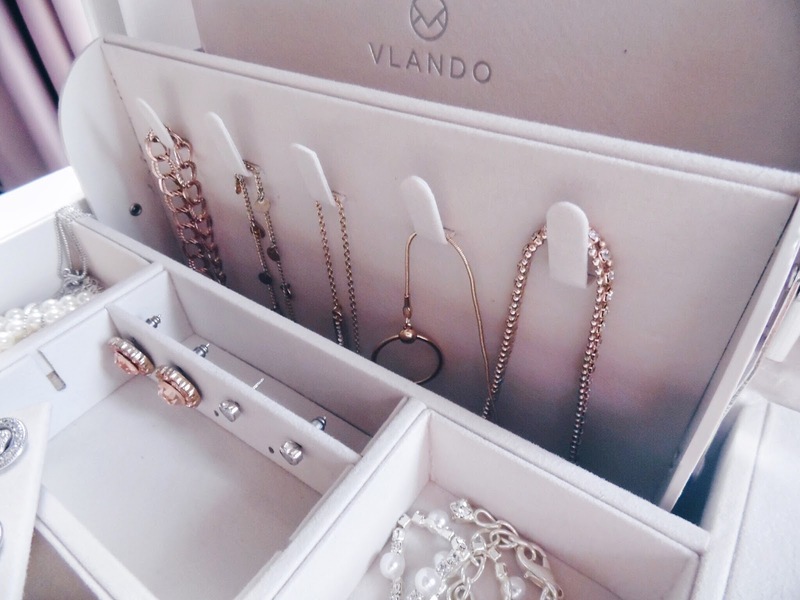 The second is split into four even sections, perfect for storing charms, more chains and earrings. It's such a versatile box! The last drawer doesn't have any dividers inside, perfect for storing watches! 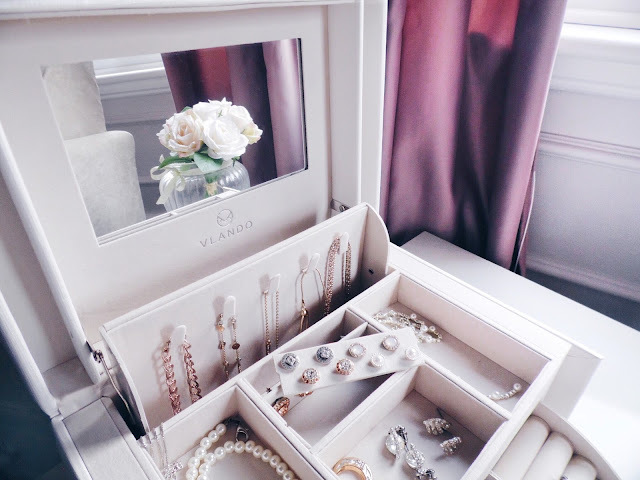 I'm so happy with this Vlando jewellery box! The compartments are so well thought out and make the most of every inch of space. It has a nice finish and feels very high quality. I can't wait to get some more jewellery, that ring holder needs some filling! 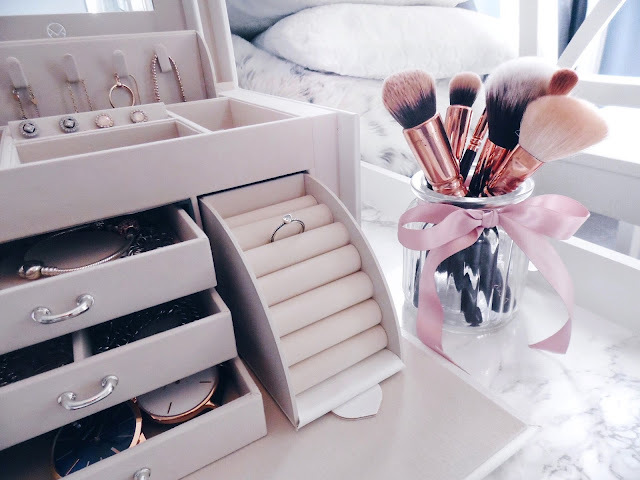 What do you think of this jewellery box? I love how clean and pretty it looks!